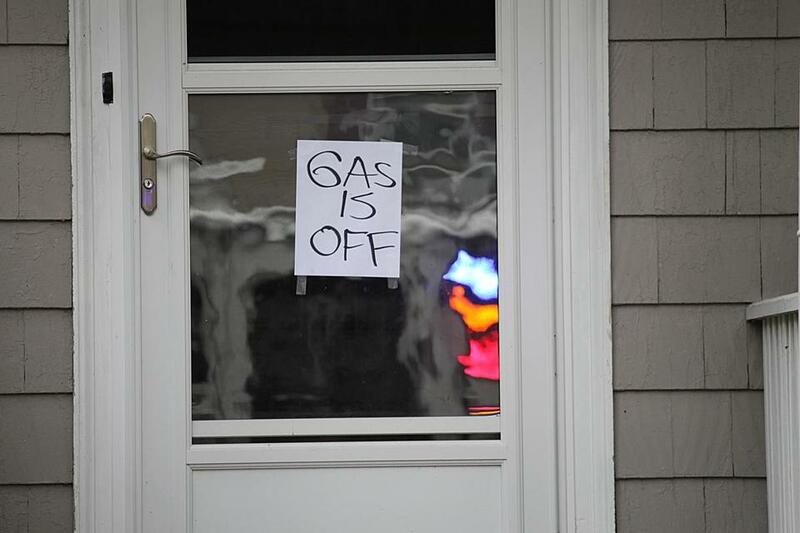 A sign on a door on Pleasant Street in North Andover alerted firefighters, police officers, and Columbia Gas that the gas is off. They used locksmiths and climbed into windows to gain access to the homes to check for gas leaks and then lock down the meters. The explosions in the Merrimack Valley, and the accounts of residents struggling to turn off the gas in their homes, were a wake-up call for those of us who don’t know the first thing about the many shut-off valves in our basements. If you need to stop the flow of gas, water, or electricity in your home, here are a few tips. First, a word of warning. 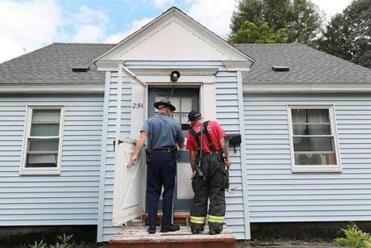 Home owners should never try to shut off gas mains themselves, experts say. Too many things could go wrong. If you smell gas, get out immediately and call 911. Before disaster strikes, people should familiarize themselves with the shut-off valves in their homes — and upgrade them if necessary to make them easier to turn. Have a plumber or electrician show you where everything is, and then label everything, advised Angel Kumar, owner of Dynamic Plumbing Heating and Gas Fitting in Somerville. Make sure valves or panels are easily accessible. Then make sure everyone in the house knows what is where. “Put a chart near your fridge,” Kumar said. Officials in the Merrimack Valley worked Friday to clear streets and allow residents to return to their homes after gas fires and explosions rocked Lawrence, Andover, and North Andover Thursday. If you have to turn off the gas, it’s safer to do it on individual appliances. There are valves behind or attached to the stove, dryer, fireplace, and hot water heater that can be turned by hand — although some homes may have older shutoffs that require a wrench. Turn the valve clockwise: If it’s vertical, make it horizontal, or vice versa. Shutting off the gas altogether requires an adjustable wrench, so keep one at the ready so you can turn it off quickly. Look for the meter, which is usually located at the front of the house, either in the basement on the wall or outside close to the ground. The meter is connected to a pipe with a shutoff valve. Using the wrench, turn the valve clockwise, changing it from vertical to horizontal, or the other way around. Again, however, experts warn that home owners run the risk of snapping off the valve or injuring themselves — and shouldn’t attempt to do this themselves. You can also have valves installed that can be turned off by hand. If the issue is water — say, a pipe bursts and water is pouring everywhere — head to the basement and go to the front of the house. There are two shutoff valves near the water meter, which is on a pipe near the floor — copper in newer homes, lead or galvanized ones in older homes. Look for the one that is directing water into the house, not the one on the street side, where the water comes in. Newer valves can be turned off by hand, but older ones will require an adjustable wrench, and some force may need to be applied. There is also a dedicated shutoff valve under the kitchen or bathroom sink if you only need to stop water there. The oil tank, also in the basement, has a valve near the bottom that can be turned off by hand. This will shut off the supply of oil to the furnace and any other appliances running on oil. Turning off the power is relatively simple. Circuit breaker panels are located on the wall in the basement, or in the main living area in an apartment. Just open the cover, look at the top, and flip the switch that says “main” to the left. If you have an older house with fuses, open the panel, grab the handle of the cartridge at the top labeled “main,” and pull it all the way out. In some towns, the main breaker is outside near the meter in a weather-proof enclosure. Just push it down to shut it off. Katie Johnston can be reached at katie.johnston@globe.com or on Twitter @ktkjohnston.